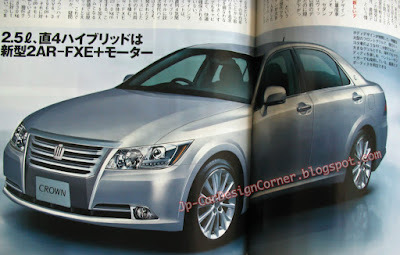 The all-new Toyota Crown will be introduced in 2012 (earlier post) and those are the latest renderings published by BC. The article mentions that the hybrid version will use a 2.5L straight four engine (2AR-FXE), as claimed before, with a power output of 170 ps and 23.0 kgm of torque. Those figures don't include the power output of the electric motor. The HV model should be able to manage a fuel efficiency of 22.0 - 23.0 km/L under the 10.15 mode. 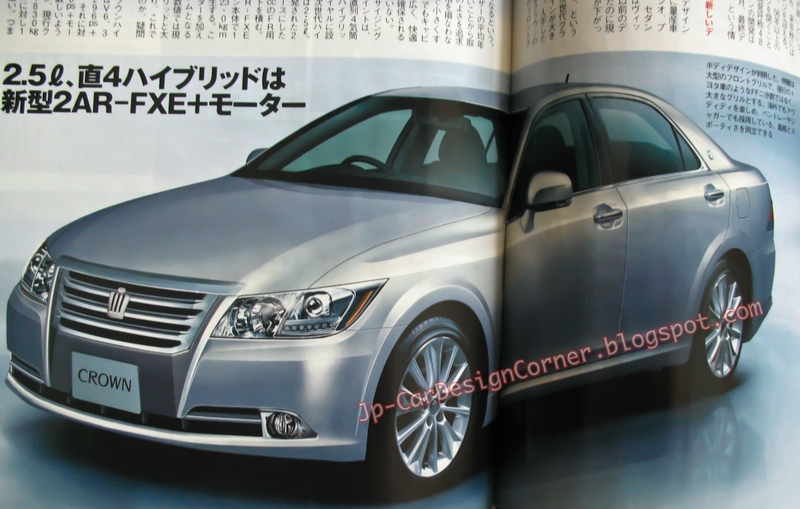 A petrol version will be also available, using a 3.5L V6 engine (2GR-FSZ) producing 315 ps and 38.5 kgm of torque. The fuel efficiency is estimated to be 12.0 km/L. In terms of dimensions, the new model is expected to measure 4,840 x 1,795 x 1,460 mm (length x width x height). 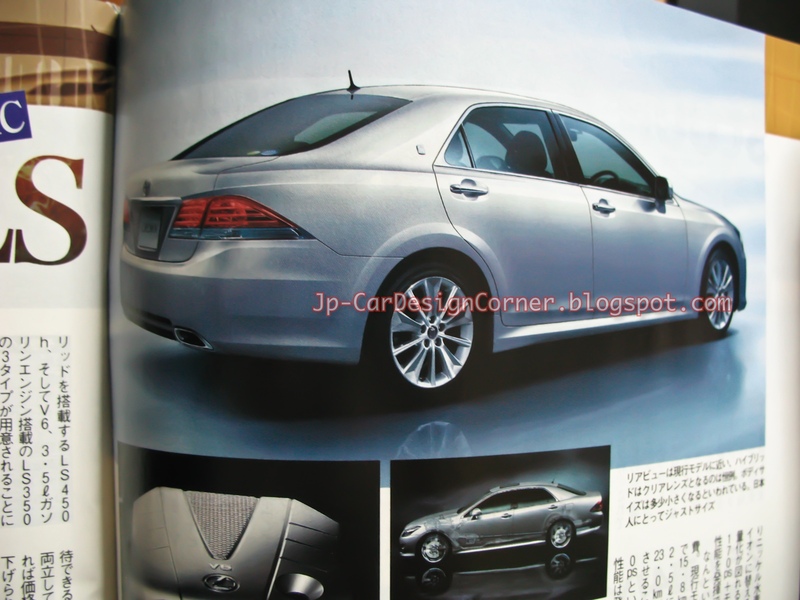 Prices should range between ¥ 5,000,000 and ¥ 6,000,000.